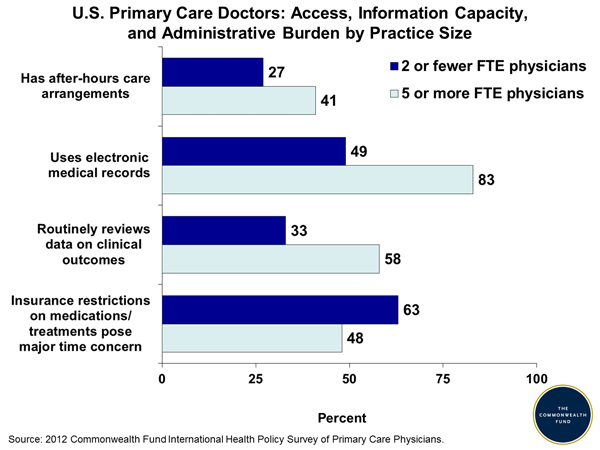 Use of electronic medical records is much higher in practices with five or more full time physicians. 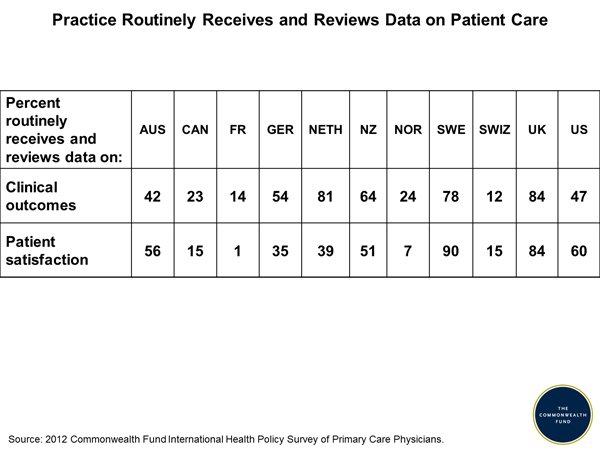 When it comes to harnessing data on patient satisfaction and clinical outcomes, the United States is in the middle of the road. Big data, patient engagement and analytics are all hot topics for U.S. providers. Delving deeper could provide important insight on how to improve patient care. Canada, France, Norway and Switzerland bring up the rear. Communication with specialists is an area where no one country stands far above the rest. As physicians in the U.S. well know, the exchange of information between providers is one of the many areas where health IT can show big improvements. 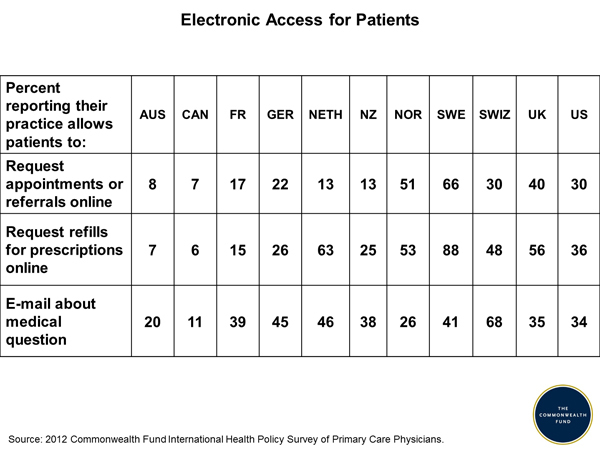 Sweden is the leader in giving patients electronic access, but according to the Commonwealth Fund’s findings, this is another area in which primary care doctors around the world need improvement. 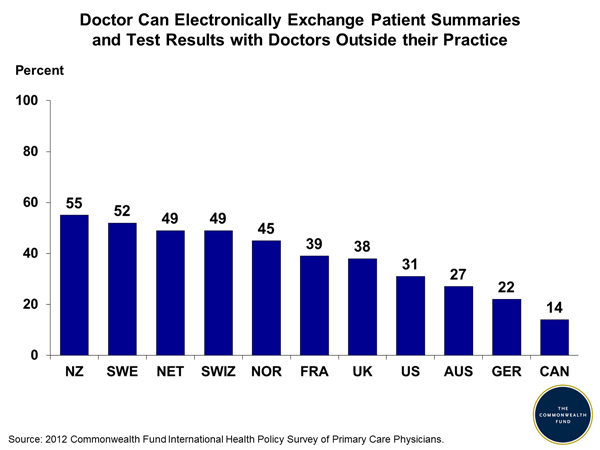 This chart demonstrates again how little primary care physicians around the world are able to electronically exchange patient information with other providers. Problems with prescription doses and interactions are serious. 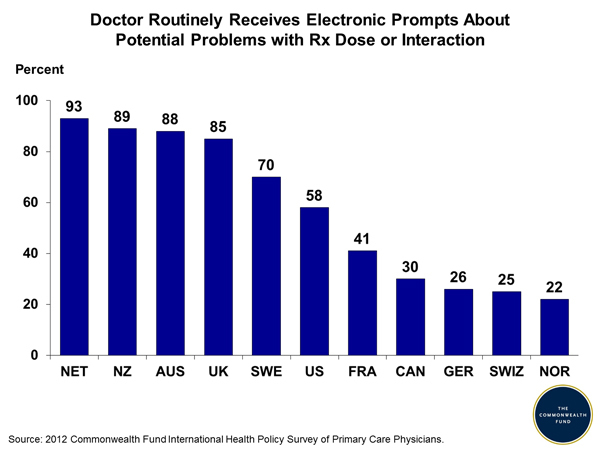 Information on patients’ medications is easily accessible, especially when integrated with an EMR, but most doctors are not able to receive electronic prompts. That makes noticing a potential problem with medication that much more difficult. Most countries that participated in the survey have high percentage of EMR usage, but not many are using EMRs with multifunctional capacity. 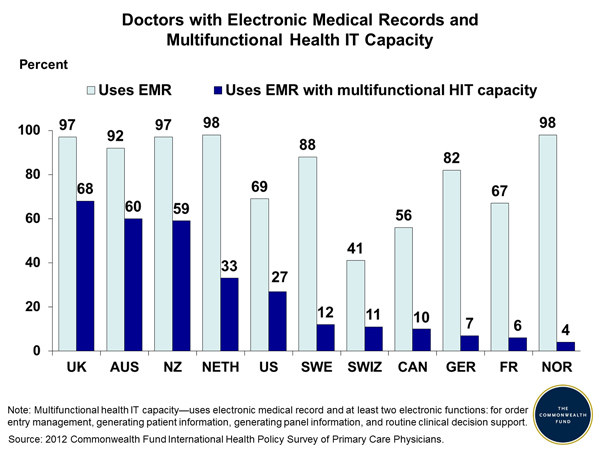 The UK leads with 68 percent of primary physicians using EMRs and at least two electronic functions, but the U.S. is only at 27 percent. 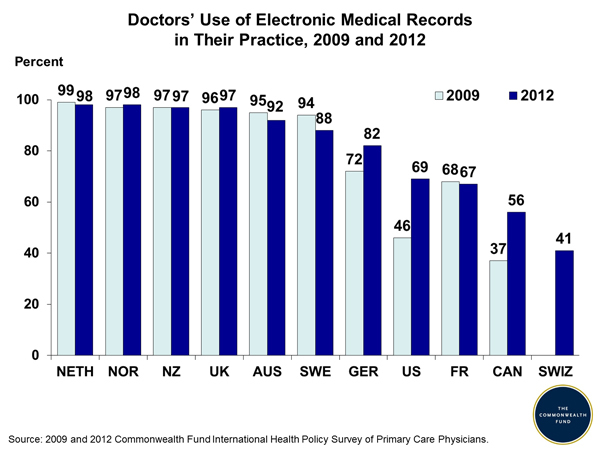 Since 2009, some countries that participated in the survey have upped their usage of EMRs. 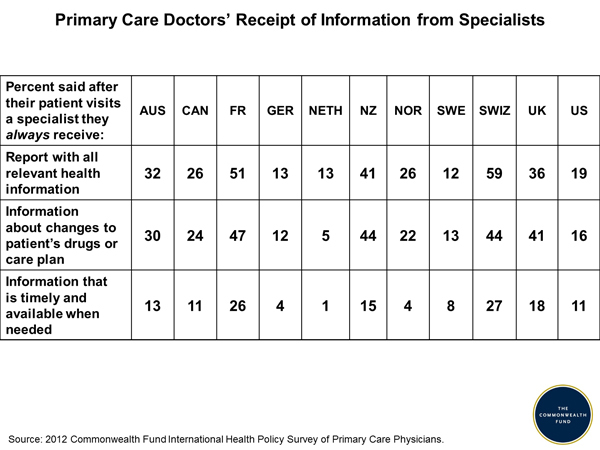 Sixty-nine percent of primary care docs in the U.S. use EMRs, but that is still much lower than many other countries, where nearly 100 percent of primary care physicians use EMRs.